Families who refuse or delay vaccinations have had their Family Tax Benefit Part A payments reduced by $28 a fortnight for each child over the last month. 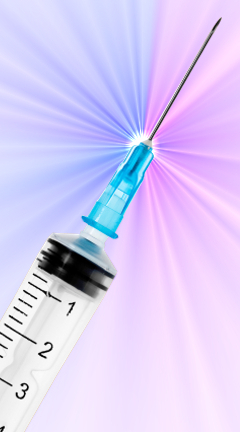 Sydney University’s National Centre for Immunisation Research and Surveillance (NCIRS) says there has already been an increase of 1 to 2 per cent in vaccine coverage since the policy rolled out. “In a number of areas across Australia we're now getting to about 94 per cent coverage, so it's only a few percent of parents who do object to vaccination. Certain geographical areas have higher rates of objection,” the centre’s director Professor Kristine Macartney said. Many parents still refuse to vaccinate their children and see the government policy as an attack on their freedom. Professor Paula Gerber from the Castan Centre for Human Rights Law at Monash University says taking away money and childcare is a punitive measure that does not provide helpful incentives, as suggested in Government policy. “They may think they're punishing the parent but the ultimate victim in all of this is the child,” Professor Gerber said. “Parents don't have any rights as such. The rights all belong to the child. “The Conventions on the Rights of the Child talk about decisions having to be made in the best interest of the child. “Parents have a lot of freedom to raise their children how they see fit, but where that freedom ends is where they're making decisions that are not in the best interests of the child. Professor Gerber says vulnerable, disadvantaged children risk being further disadvantaged. “It seems to be putting one level of disadvantage on top of another,” she said.